As outdoor types, we love rating systems. We'll rate anything. Rapids. Climbs. Ski runs. Now, we've gone and tried to rate the unrateable — fun. Fun divided by three — it's this concept that has been floating around campfires for years. It dictates that there are three types of fun. There is type one fun and type two fun, but today, we are going to explore type three fun. This is the epic. The suffer fest. This is collarbone breaking, giardia-getting, soaked-to-the-bone, carnage. If it sounds horrible, that's because it probably is. What does type three fun entail? Why do some people seem particularly drawn to these types of adventures and what could possibly motivate us to embrace type three fun? Today, we bring you answers. 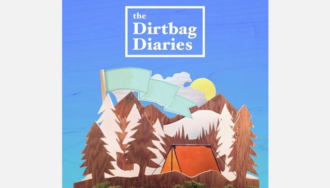 Download "Fun Divided By Three"
Visit dirtbagdiaries.com for links and more information on the music in today's podcast. You can subscribe to the show via iTunes and RSS, or connect with Fitz on Facebook and Twitter.